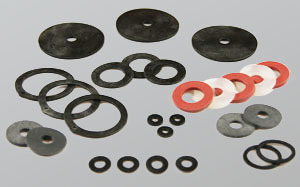 Kingpin are a top of the line manufacturer of a wide range of fibre washers. The cable gland industry is in constant need of high quality fibre washers, as anything less than a 100% perfect products leaves room for problems with quality and safety. We are here to help. Manufacturing all of the fibre washers in-house, we are able to make them to whatever size you need. 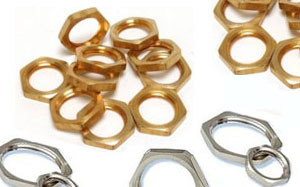 Cable glands come in a variety of sizes, so it is vital that the washers necessary for them to meet safety standards are equally as flexible in size. You’ll be dealing directly with Kingpin staff throughout, so what you order is what you’ll receive, down to the tiniest of details. No longer will you have to suffer with inadequate, store brought washers from an uninformed third party. Kingpin don’t just supply to the cable gland industry, however. In fact, our fibre washers are of such a high standard that their appeal stretches far beyond our specialist sector. Owing to the fact that they are strong, yet light, our fibre washers have been supplied to electrical manufacturers of all sizes, incorporating tiny consumer goods right the way up to heavy industrial equipment. This should highlight just how high quality our fibre washers are, regardless of what job they go on to do. – High standards – Kingpin is a well respected name in the cable gland history, a reputation built off of our high quality products. – Precision engineering – We know that a product that is even slightly off can be very detrimental, so we follow your specification to the closest degree possible. – Quick turnarounds – Our high levels of machinery, operated by incredibly knowledgeable staff, means you won’t be waiting around for components. We pride ourselves on these three principles. Every single product that we manufacture and supply lives up to them, because if they didn’t, they wouldn’t have left the factory door. You’ll be hard pressed to find another company that can match that level of quality at our industry leading turnaround times. We hold most standard cable gland sizes in stock, so your order can be dispatched rapidly. Any custom sizes are also quick to leave us thanks to our high level of on-site tooling. We offer fibre washers in sizes M1 to M130. Call 0121 559 7742 or contact us for enquiries on washers and more information. Providing the cable glands with their vital earthing point, Kingpin’s earth tags are available in a wide variety of sizes and materials. A cable gland that falls apart under stress is not only useless, but also dangerous. Our locknuts prevent that from occuring. If you think another material may be better suited to your needs, check out our full range of washer materials by clicking above.